triangle' is triangle rotated around point O. You can move point O if needed. 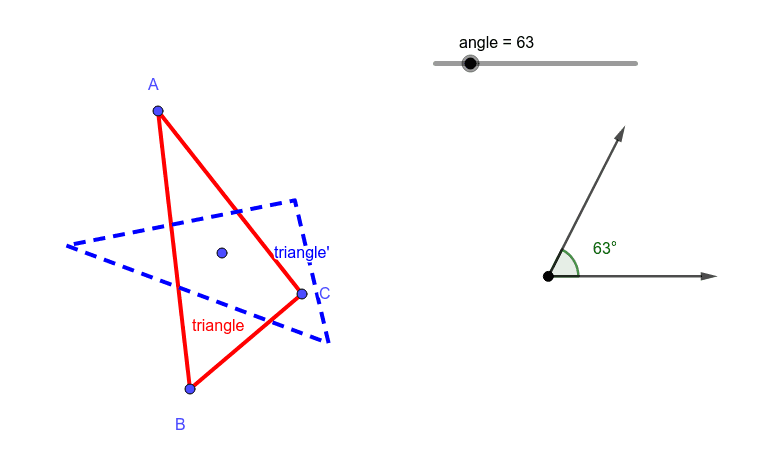 Can you find a position of O and an angle of rotation where triangle' is in exactly the same position as triangle? Three circles, touching each other: all possible cases.